Gov. 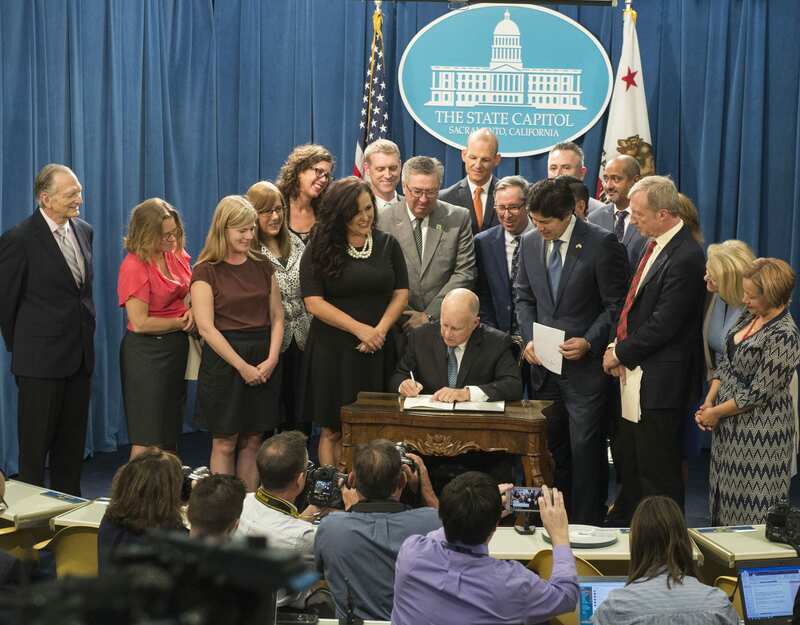 Jerry Brown signs SB 100, mandating 100 percent renewable energy in California by 2045, on Sept. 10, 2018. SACRAMENTO – Countering the Trump administration’s call for more coal and oil, California Gov. Jerry Brown on Monday inked legislation that requires utilities to obtain 100 percent of their electricity from renewable sources by 2045. The Governor’s signing message for SB 100 can be found here. The text of the executive order can be found here. Can this piece of 💩 die soon, he’s done enough damage already!!!!! You could do it sooner if you diverted money from that pit of a project called high speed rail. Jerry the moron, trying to compete with Obama . Both are only interested in saving their legacy. I’m glad I will be out of this State by then.